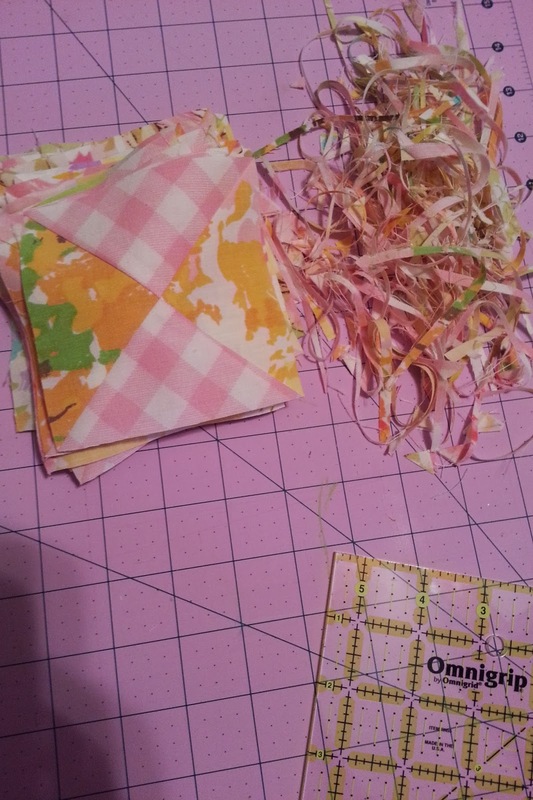 Austin Modern Quilt Guild: WIP Wednesday! How has your week been? Weren't you glad we got an extra hour to sew in this week? I'll be honest - I used my extra hour for sleeping. I was worn out from shopping so hard at Quilt Festival! Sunday I did finally get around to sewing for the first time in over a month and it was soooo good. I'm making quarter square triangles using vintage sheets for my Elizabeth Hartman Planetarium quilt. Yes, Corinne, I totally copied you! Show off what you've been creating lately! December Meeting Fun: Mug & Rug Swap!